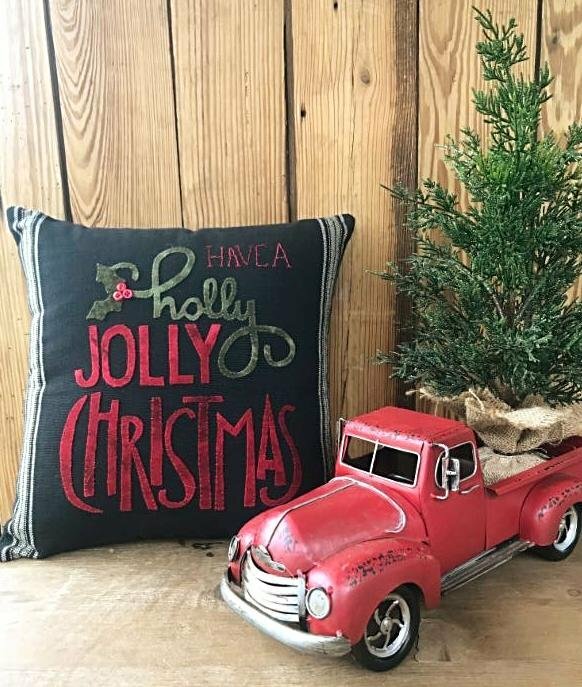 I love this pillow - it's so festive! Easy to make with toweling and wool - just insert a 16" pillow form! KIT INCLUDES BLACK TOWELING, RED AND GREEN WOOL, RED BUTTONS.